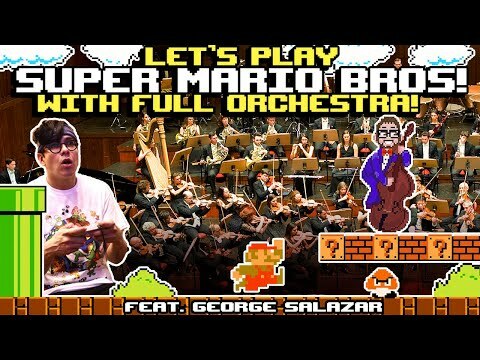 Super Mario Bros accompanied by a live big band! 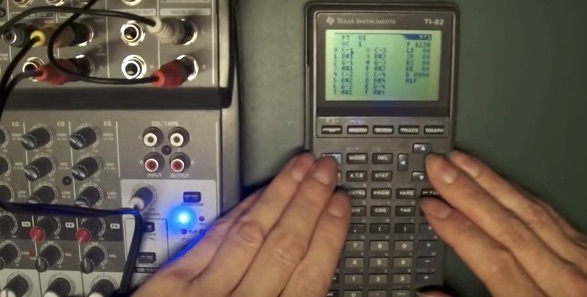 Your entry point to It's a Small World's YouTube channel of curiously haunting covers of pop songs performed on bleepty calculators. 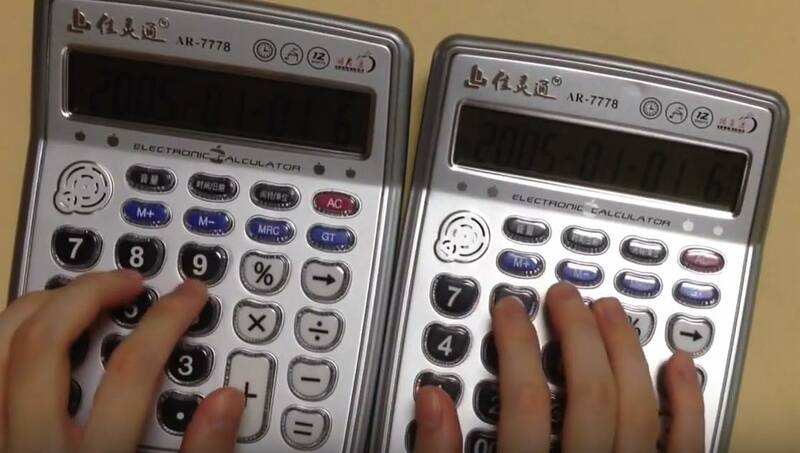 That model of musical calculator (are there others?) doesn't seem to be available anywhere; all I found was a dead product page on Ali Express. Chiptunes not your thing? Here it is on cello, by 2cellos. The Apple II had only rudimentary audio capabilities, so Class Apples, apparently the only album ever made on one, is doubly-incredible: a contemporary technical feat underlying a classical chiptune feast. Welcome dear friends to the world's first all Apple II music based album ever! This collection of timeless classics is not related to a game or as a demo shipped with software, that's another reason why this album unique. Yes, all sounds, even the drums are generated directly from motherboard of the Apple II personal computer! Thanks to a breakthrough in Apple II audio technology from legendary coder Mr. Michael J Majon we are able to push 8 bit instrument samples though the Apple II's 1 bit audio output! Another amazing technology boost was Charles Mangin's incredible midi hardware allowing us to control the Apple II like a midi module! The Apple II was created in the late 1970's and popularized throughout the 1980's! Each track has been painstakingly engineered and recorded for your listening pleasure. Some eq, filtering, and other effects have been added to enhance your listening pleasure. Keiji Yamagishi, aka the composer of the music for the original Ninja Gaiden, just released a chiptunes album that sounds like an alternate dimension soundtrack to the best NES game that never existed. Listen to Retro-Active Pt. 1 for free here, or download your own copy for $8. Thomas Gilmore offers a brief history of chipmusic, whose practitioners "make complex music in a minimal way." The more popular tools of the chipmusic (or chiptune, or 8bit) trade were made from the early '80s to the early '90s, when the most efficient way to add sound to a video game or computing experience was with a sound chip. These sound chips are limited, there are no two ways about that. Usually they're restricted to a small number of voices (sounds that can be played at once) and the palette of sounds themselves are set to a handful of presets that the chip is capable of creating. As a result of these limitations, the sounds created by these electronic devices are unmistakably distinctive. What I love about it is the reminder that it isn't a new thing: music was always written for these devices, and many of them came with consumer-friendly composition software from the outset. One thing about this history that's not quite right—and many of us in geeky indiedom make the same mistake—is in believing that this stuff is only just "starting to change what is happening on the surface of popular music." In practice, none of this matters. If you're borrowing inspiration from any copyrighted material, even if it seems clear to you that your use is transformational, you're in danger. If your use is commercial and/or potentially objectionable, seek permission (though there's no guarantee it'll be granted) or be prepared to defend yourself in court. Anyone can file a lawsuit and the costs of defending yourself against a claim are high, regardless of how strong your case is. Combined with vague standards, the result is a chilling effect for every independent artist hoping to build upon or reference copyrighted works. We love chiptunes, the quirky celebration of 8-bit-style music that's become a a vibrant genre of its own with a thriving scene supporting it. The compositions evoke a time when electronic musicians had to make the most of the limited resources offered by primitive computing technology. Keeping that fire alive, the latest compositions are like the soundtracks to vintage videogames that never existed. As teased last week, we're joining with Safari Books Online, the massive online library of technical know-how, to honor the mighty chip in the form of a Game Dev Challenge. Your task is to make real the imaginary games embodied by chiptunes. For inspiration or technical insight, Safari Books Online is offering Boing Boing readers 30 days free access to five videogame-related books from the library. Sine waves, square waves, sawtooth and triangle; white noise for a drumkit, and a cathode ray tube for a stage. Being geeky, I was into computer-generated music as a youngster, long before I caught up with pop music. In an age before cheap internet access, however, there weren't many folks to share it with. So it's with not a little jealously to see today's chiptune scene, fed as much by fresh, unhinged creativity as the nostalgia it often evokes in listeners. 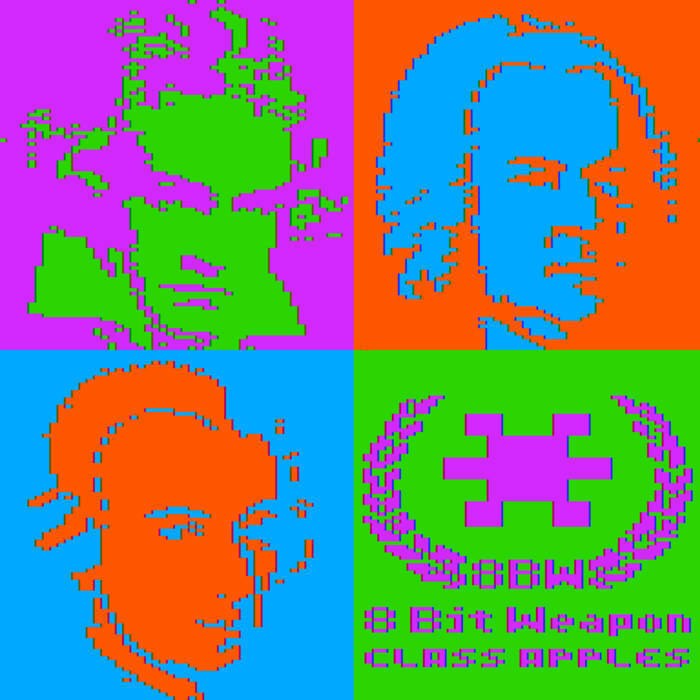 One epicenter of all this is 8-Bit Collective, where dozens of new tracks are uploaded daily, sourced from an army of thousands of registered users. Founded by Jose Torres and George Michael Brower, it describes itself as the first file-sharing community dedicated to chiptunes.